On President’s Day, people who write about other parts of the world often write about curious historical anecdotes involving some past American head of state and whatever part of the world they write about. Basically, on President’s Day you’re exponentially more likely to read about Thomas Jefferson’s war with the Barbary States or about the time Abraham Lincoln turned down the King of Siam’s offer of war elephants (Can you imagine, though? “Hey, Pickett, charge this!”) than you are on any other day of the year. This seems perfectly reasonable to me, which is why I’m getting in on the action, even though Michael Collins Dunn’s idea to celebrate the Fillmore administration by doing nothing does have its appeal. Today, let’s talk about the 1904 Perdicaris Affair, a relatively minor but interesting little dust-up involving a (former) American citizen named Ion Perdicaris, then-US President Teddy Roosevelt, and a Moroccan outlaw and would-be governor named Mulay Ahmad al-Raysuni, or “Raisuli” as he was more famously known in the American media at the time. Ion Perdicaris was born in 1840, the son of a Greek immigrant named Gregory, who married into a South Carolina plantation family, served as US consul to Greece, and later moved to New Jersey and helped found the Trenton Gas Light Company. Gregory was a pretty wealthy guy, and Ion accepted the arduous task of helping his dad spend all his money. When the Civil War rolled around, however, the CSA figured it could just confiscate any southern land owned by rich Yankee types like the Perdicarises, and so Ion headed to Greece to claim citizenship there and renounce his US citizenship (the CSA didn’t confiscate land owned by rich European types). In the 1870s he moved to Tangier, and married an English lady who already had four children by her previous marriage. They were apparently the stars of the Tangier expat scene. Morocco was, as it still is and as it has been since the 1600s, ruled by the Alaouite Dynasty. These folks are sharifs, which means they can trace their ancestry back to Muhammad, via his grandson (the son of Ali and Fatimah) Hasan. They’re the rare dynasty that was able to survive European (which in the case of Morocco meant mostly French and a little Spanish) colonization in the early-mid 20th century. Their elevated status as sharifs probably helped them weather this period, when so many other Arab dynasties, tarred as collaborators and incompetent figureheads, lost power after the colonial powers retreated. But in 1904 the head of the dynasty was the young (mid-20s) Sultan Abdelaziz, and he was trying to deal with an empty treasury and the perception, probably justified (but also maybe exaggerated by his enemies), that he was a weak ruler who was a pawn of the Europeans. One symptom of this perceived weakness was the rise of uncontrollable local bandits like Raysuni. Mulay Ahmad al-Raysuni was 33 in 1904 and already well into a career as a local bandit and sometime-pirate, operating usually out of the Jibala region just south of Tangier. One of his favorite pastimes seems to have been kidnapping high-ranking Moroccan officials, along with the occasional European, and then ransoming them for some considerable sum of money. By all account he treated his captives quite well, and befriended many of them, though when it came to people who were too lowly to fetch a ransom he liked to entertain himself with little games, like putting out their eyes with red-hot coins. You know, humor. Raysuni obviously inspired considerable loyalty among his men, who saw themselves as the noble resistance to the corrupt (i.e., co-opted by Europeans) Abdelaziz, and at any rate Abdelaziz was too weak and/or beset with problems to do anything about him. It seems that what Raysuni really wanted was to be pasha of Tangier and governor of Jibala, but he wasn’t able to get enough leverage with his kidnapping and brigandage to force Abdelaziz to give him control of those provinces. Ion Perdicaris proved to be his golden ticket. On May 18, 1904, Raysuni kidnapped Perdicaris and one of his stepsons from their home in Tangier. In return for the safe return of his hostages, Raysuni demanded $70,000 and appointment as Pasha of Tangier and governor of Jibala. These were some hefty demands, and it’s likely that Abdelaziz would’ve told him to take a hike had it not been for the final player in our story, Roosevelt. TR and his Secretary of State, John Hay, were outraged by the kidnapping, or at least knew that it was good politics to act like they were outraged about it, particularly given that it was election season. TR, as the incumbent (albeit due to McKinley’s assassination in 1901), was probably a mortal lock to be nominated, but the embarrassment of this Perdicaris kidnapping stung, and they figured that a tough response, or rather the appearance of a tough response, was necessary to shore up his support. If this cartoon is any indication, Hay and Roosevelt were right. Roosevelt ordered several warships and companies of Marines to Moroccan waters without really any idea what they were going to do once they got there other than look menacing. While to an outsider it may have looked like this show of force was intended for Raysuni, and that the Marines would eventually be ordered to go after Raysuni if he refused to return Perdicaris, in fact the Marines were there to threaten Abdelaziz, who was told in no uncertain terms by Roosevelt (as well as the French and British) that he was to meet Raysuni’s demands in order to secure the hostages’ freedom. So much for not negotiating with terrorists. The Marines were presumably also there to make sure that Abdelaziz didn’t fink and blame his capitulation on Roosevelt, lest it be revealed that TR’s tough public face was all for show. Now, if you’ve been paying attention, you’re wondering, “Why are Roosevelt and Hay involved in this case at all? Didn’t Perdicaris renounce his US citizenship way back in 1862?” If you were wondering that, then pat yourself on the back, because you’re more on the ball here than Roosevelt and Hay were. 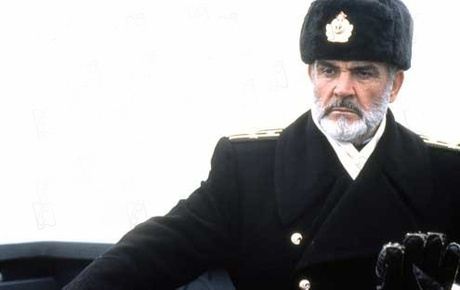 It was only after they’d sent warships to Morocco and demanded that Abdelaziz pay Raysuni off that Roosevelt found out that, actually, Perdicaris had never really been his problem in the first place. Roosevelt rationalized the whole thing by arguing that Raysuni (or Raisuli) also thought that Perdicaris was an American citizen, which meant that he thought he was going to get away with kidnapping an American, so America’s honor was still at stake, or something (even though Roosevelt was trying to arrange it so that Raysuni would get away with kidnapping an American), but he and Hay carefully withheld what they knew about Perdicaris’ citizenship from the public. Meanwhile, as they were demanding that Abdelaziz concede everything to Raysuni, Roosevelt and Hay kept talking tough; at the Republican Convention Hay declared to thunderous applause that “the government wants Perdicaris alive, or Raisuli dead!” I guess “the government will give Raisuli whatever he wants if he just lets those people go!” wouldn’t have made for a very good applause line. Anyway, Abdelaziz rightly figured that it was better to pay Raysuni off (and keep mum about Roosevelt’s demands in that regard) than to have a bunch of Marines marching down the streets of Fez, so he agreed to Raysuni’s demands and Perdicaris and his stepson were released on June 21. In what is a testament either to Raysuni’s personal charisma or to the power of Stockholm Syndrome, Perdicaris seems to have befriended Raysuni during his month in captivity and proclaimed his utmost respect for the “patriot forced into acts of brigandage,” as he put it. In Perdicaris’ defense, many of Raysuni’s captives were said to come away from the experience with admiration for the bandit. But this was in stark contrast to several panicky American newspaper reports (many of these are awesome) at the time, which speculated that Raysuni, or Raissouli, or Fraissouli (???) was likely to kill his captives before any help could arrive. Perdicaris died in London in 1925, and it wasn’t until 1933 that it became known that he wasn’t an American citizen; Roosevelt and Hay had done a pretty good job of suppressing that particular part of the story. Raysuni’s victory was short-lived; shockingly, the ex-brigand turned out to be a bit of a cruel and corrupt governor, so Abdelaziz removed him from office in 1906. He was appointed Pasha of Tangier again after Abdelaziz was overthrown in 1908, but was removed at the behest of the Spanish less than a year later. After flirting with the Germans during World War I, he wound up fighting for the Spanish during the 1920-1926 Rif War, when he was captured (1925) by another bandit fighting against the Spanish, and died in prison. Teddy Roosevelt, meanwhile, easily won reelection, and while it’s unlikely that “Perdicaris alive or Raisuli dead!” had much to do with the outcome, it probably didn’t hurt. then we might as well give “Arab” a go too. It’s actually a pretty entertaining movie, though I can’t stress enough that it’s loosely based on the Perdicaris Incident. For one thing, at the risk of repeating myself, Sean Connery is playing an Arab bandit (he’s very good though! ), and a very strapping one, unlike the, um, heftier fellow you saw in that photograph of Raysuni a few paragraphs back. For another, you may have noticed that “Ion Perdicaris” somehow became “Eden Pedecaris” and is being played by Candice Bergen, who’s a good actress but was definitely not a 64 year old Greek man in 1975. Milius figured that the captive needed to be a romantic match for Raisuli rather than some older rich gentleman, and I guess I see his point. In the film, the Marines actually do go marching down the streets of Tangier, where they seize the Pasha (who, it’s implied, is the real power in the country) in order to force him to pay the ransom for Pedecaris and her children (two in the film as opposed to the one in real life). The movie ends with Pedecaris and the Marines fighting alongside Raisuli’s men to free Raisuli after he’s been betrayed and captured by the Moroccans and their German allies. Pretty much none of that stuff actually happened. Pretty good film, but lousy history. For a more fleshed-out version of this story, Barbara Tuchman’s 1959 piece in American Heritage is probably your best bet. The early-20th Century travel writer Rosita Forbes wrote a biography of Raysuni, called The Sultan of the Mountains: The life story of Raisuli, but good luck finding it anywhere. Previous: Previous post: How much for that ambassadorship in the window? Next: Next post: In the Crossfire tonight! This two-year old post always gets a little extra interest around President’s Day, and while I’m still technically out of the usual blogging pattern until tomorrow, I figured I could reblog this so people could find it more easily. It’s obviously relevant to the holiday, but there’s also some historical context around the often repeated but only infrequently applied standard that America never negotiates with terrorists. Enjoy! Thank you for the context. 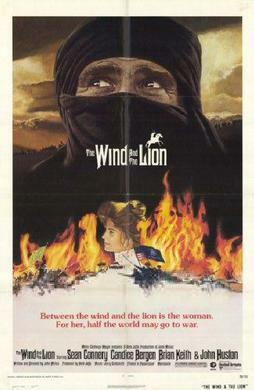 i’m watching ‘The Wind and The Lion’ right now, and I wanted to see how much of it was loosely based on history. “Pretty much none of that stuff actually happened.” Well which parts DID happen then?